When you’re stressed, your body (or more specifically, your adrenal glands – aka your “stress glands”) release many neurotransmitters. These neurotransmitters help adapt your body to short term stressful situations. This is a balanced response and considered normal and healthy. It’s the long term chronic stress, however, that is considered an unhealthy maladaptive response. Too much stress (and chronic stress hormone and neurotransmitter release) thus equals an unhealthy state, often lending itself toward immediate and chronic health issues, with ovarian cancer progression not withstanding. 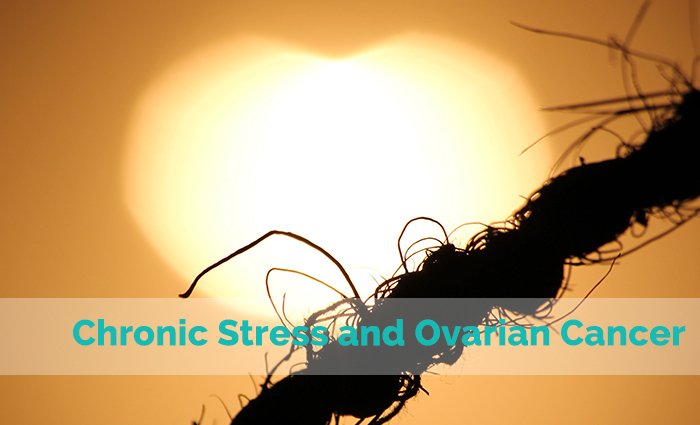 Ovarian cancer cells have receptors specifically for these stress signals. Thus, long term stress exposes ovarian cancer cells to our chronic, unhealthy stress responses. Recent research indicates that stress does stimulate the progression of cancer. In this Natural Medicine Journal article, naturopathic oncologist Dr Lise Alschuler explains how chronic stress promotes ovarian cancer progression. Just another reason why it is imperative to manage and address chronic stress now. Concerned about cancer, immunity, stress or your mental health? Book your appointment with Dr. Jeremy Hayman today.